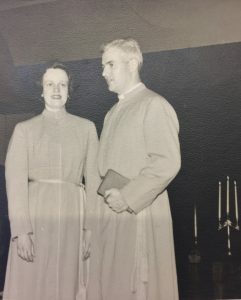 Among the many collections of personal papers held at The Burke, there is a small cache of materials belonging to Biblical geographer Lewis Bayles Paton and his first wife, Suvia Davison Paton. The Patons traveled throughout the Middle East in the early 20th century and Lewis led the American School for Oriental Study and Research in Palestine (based in Jerusalem) from 1903-1904. 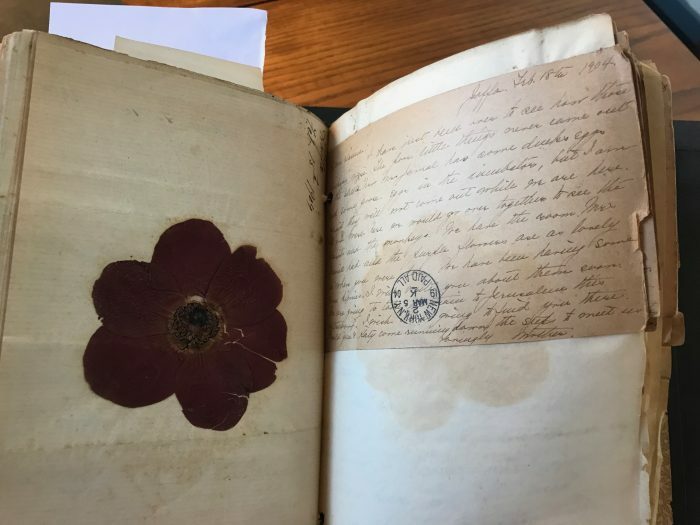 I was particularly interested in the documents written by Suvia Davison Paton, as they are mostly personal correspondence and diaries from her travels in Europe and the Middle East. Such travel accounts are invaluable in helping historians reconstruct Americans’ experiences abroad over 100 years ago but they are also poignant since they record how places change over time and how they remain the same despite the passage of many decades. Below are some anecdotes from the letters and diaries of Lewis and Suvia that really resonated with me. They offer a window into the lives of intrepid theologians and travelers in the early 20th century. 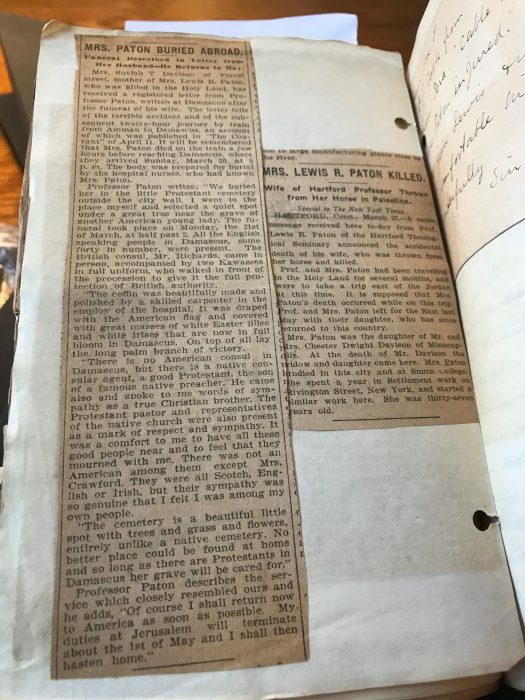 When Lewis and Suvia journeyed to the Middle East in June 1903 so Lewis could continue his studies and lead the American School for Oriental Study and Research in Palestine, they landed first in Beirut. Geopolitics have changed significantly since the Patons’ arrival, as both Lewis and Suvia describe Beirut as being a city in Syria. Lebanon didn’t even exist as an independent nation! The Patons spent time in Damascus, Beirut, Smyrna, Palestine, and Egypt, visiting ancient sites like Jericho, the Sea of Galilee, and the Cedars of Lebanon. 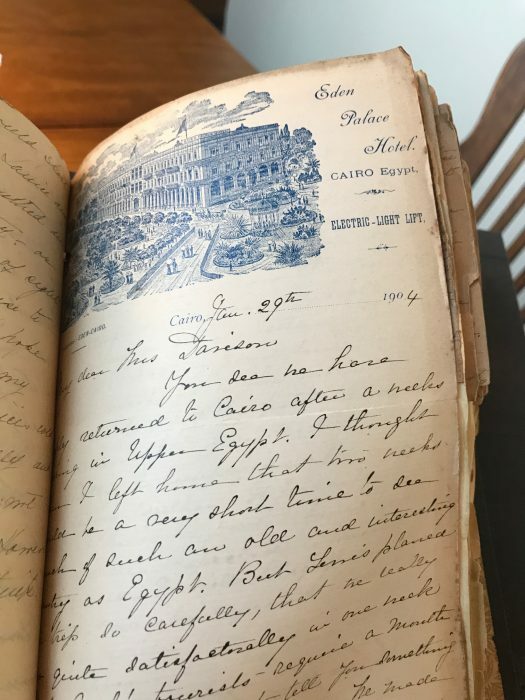 A letter from Lewis to his mother-in-law from Cairo in January 1904. Their hotel boasted electricity and an elevator! A flower collected and pressed by Suvia in Haifa in February 1904. According to Lewis’ Report of the Director, 1903-04, written for the Managing Committee of the American School of Archaeology in Palestine (which included representatives from both Union Theological Seminary and Columbia University), his own studies were “devoted chiefly to the topography of ancient Jerusalem. I investigated all the archaeological remains that were accessible, and obtained a large collection of excellent photographs. 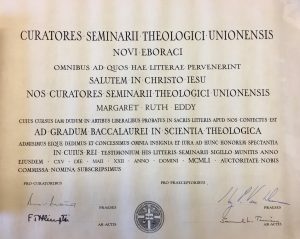 …At the request of the Trustees of Hartford Theological Seminary [where Paton taught] I took advantage of my residence in Jerusalem and my trips to other parts of the country to make a quite complete collection of objects illustrating the life of the Bedawins and of the Fellahin. This collection is now on exhibition in the Museum of Hartford Theological Seminary, where it is open to the inspection of the public.” One wonders where these artifacts are today! It must have been so shocking and so awful for everyone involved, particularly Lewis, to have lost his beloved young wife suddenly and unexpectedly. Their young daughter had already gone back to the United States several months earlier but one feels, even more than a century later, so much sympathy for the family at such a devastating loss. The Paton collection at The Burke includes several carefully snipped and pasted obituaries and newspaper articles documenting Suvia’s death. 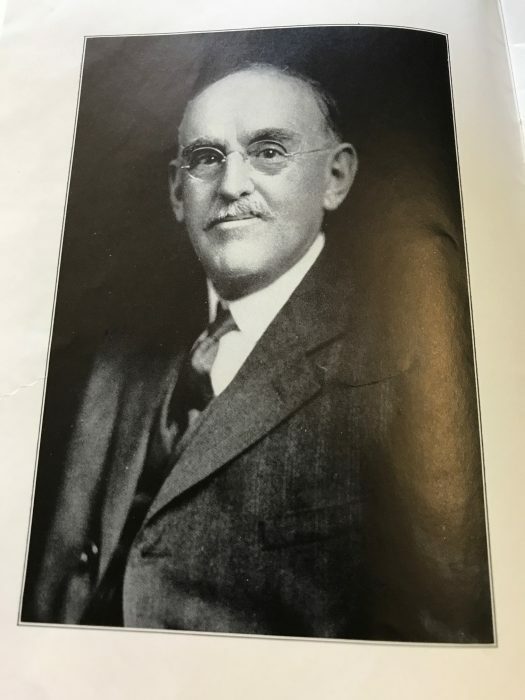 Lewis Bayles Paton went on to marry two more times before his death in 1932 and he enjoyed a successful career teaching and writing on diverse theological subjects. 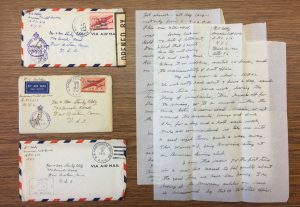 Anyone interested in Biblical geography, Western perceptions of the Middle East in the early 20th century, or personal travel accounts from a pair of adventurous Americans, should look to the Paton papers for illumination. This entry was posted in Collections on June 28, 2017 by Meredith Levin.